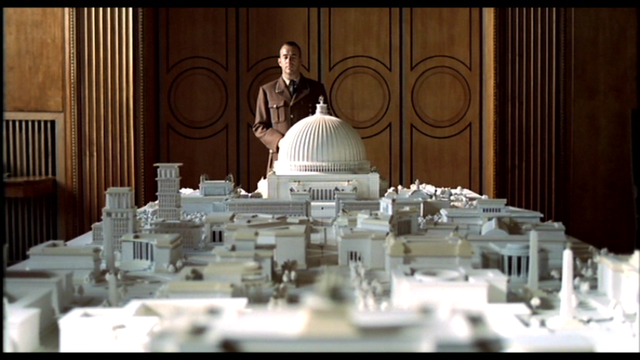 if you’ve seen the whole movie though, you might remember the scene where hitler and albert speer, his architect, look wistfully over a mockup of germania, the “new berlin”, future capital of the world. their plan was to build two huge avenues, forming two axis that crossed the city, a huge domed people’s hall, and a big arch of triumph – much much larger than the one in paris. 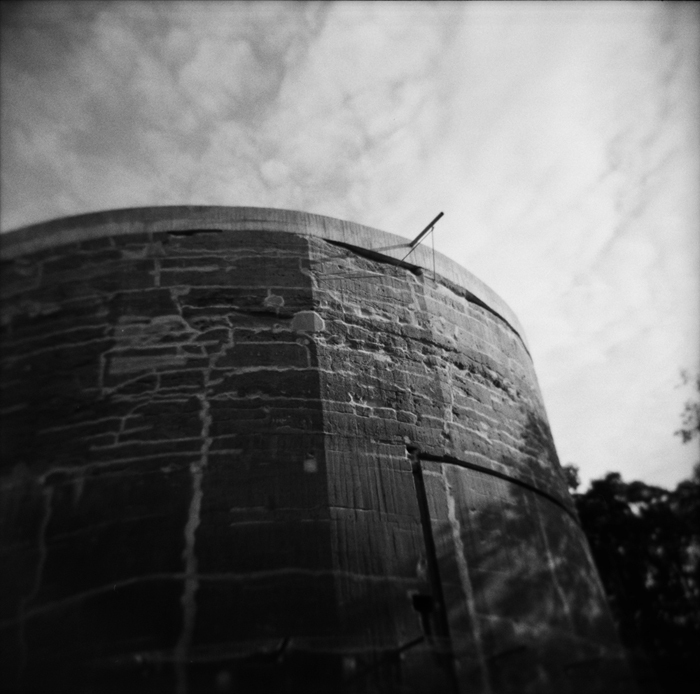 but because they didn’t know if the sandy ground of berlin could withstand such heavy things, they decided to test it first, by building a large concrete structure: the Schwerbelastungskörper (heavy load-bearing body). 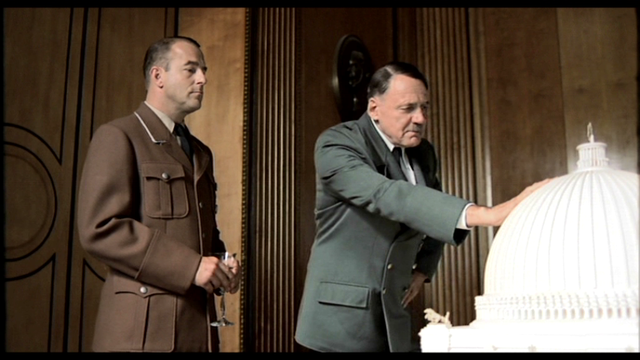 it is one of the few traces of hitler’s megalomanic germania in today’s berlin. the massive structure was to function as a feasibility study for further constructions: if it were to sink less than 6 cm, the soil would be deemed sound enough for big buildings. it sank 18 cm in three years. not that it mattered in the end. as the war raged on in berlin, plans were quickly scraped. 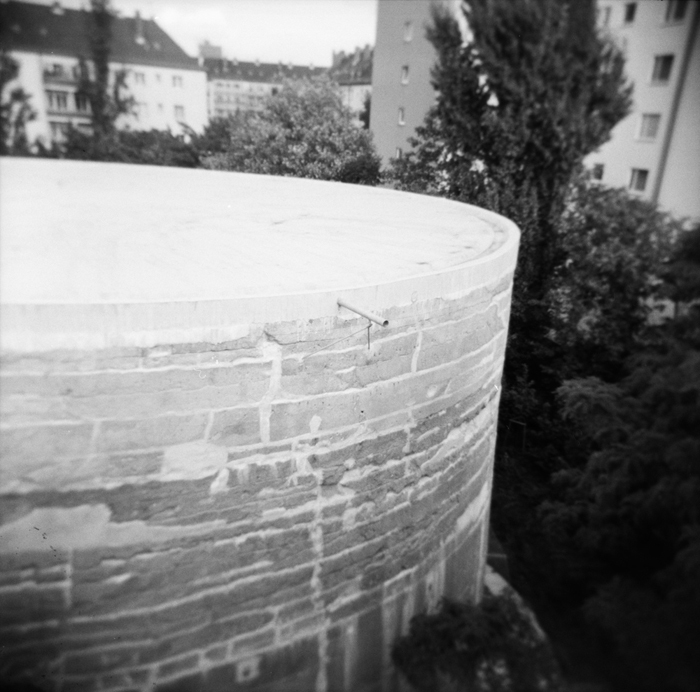 the city wanted blow it to smithereens, but was afraid of the effects on the nearby buildings… and so to this day, the heavy cylinder remains, on the corner of dudenstraße and general-pape-straße. it is now an historical monument. from the observation deck next to it, you can pretty much see the whole city, and imagine the huge axis of avenues, with its triumphal arch that (thankfully) never was. posted in in germany | January 7th, 2012 | comments?